All Legumes. Al Dente. All Great taste. Say hello to Barilla Legume Pasta, made with just 1 simple ingredient! 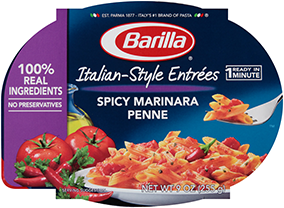 Barilla Legume pasta will quickly become your family's favorite. Try our Chickpea or Red Lentil pasta, a good source of plant-based protein and an excellent source of fiber, per serving. Certified Gluten Free and Non-GMO. Taste the difference!